In a new collaboration, Jönköping University and Naturskolan at Upptech will combine research and practice within the field of outdoor educational science. During the upcoming spring a pilot project will start with the aim of developing the skills of teachers within the field of Theory of Outdoor Education, through research and practical teaching activities. Teachers and educators within the Jönköping municipality have for a long time been requesting skills development within outdoor education. There is a need for more pedagogical tools as a support for outdoor teaching and therefore a project has been started up to develop materials for outdoor use with educational content in the shape of a backpack or ‘tool box’. Sabine Lind and Ulrika Franke, Naturskola educators, Maria Hammarsten, PhD student from Jönköping University, as well as Lisa Bergström, outdoor strategist for Jönköping municipality form the collaborative partners in the project. Outdoor activities are common in preschool, whereas among after-school centres and primary schools, it is mainly recess activities that are held outdoors. One of the great benefits with outdoor education is that children and pupils use several senses simultaneously, and that this is more of a hands-on teaching moment. Outdoor lessons also encourage increased movement and therefore better health. The project aims to give resources and training to teachers, to help them take learning outdoors. “With the pilot project, the teachers and the educators receive a range of materials and supervision to strengthen the outdoor education work. 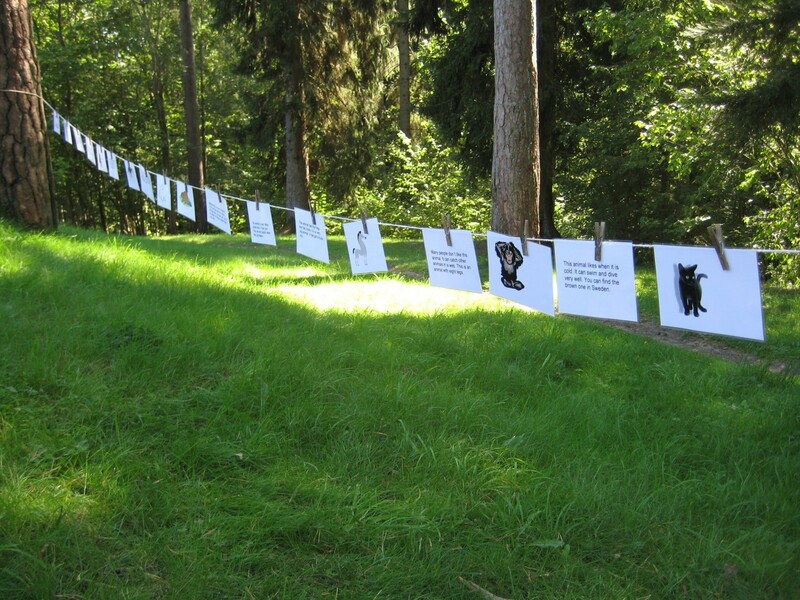 The idea is to make it easy for teachers and educators to bring their children and students out into the forest and other green areas,” says Sabine Lind from Naturskolan at Upptech. When cities grow and the need for new housing is large, there is a risk that green areas will be used for new buildings. In this context, it’s vital to show the importance of outdoor education and the role that the green areas play for outdoor education. “It is also important to make it clear that a green area can be used by many different actors within the pedagogical activities - in addition to pre-schools or schools there are after-school centres, youth clubs, associations, individual actors etc. 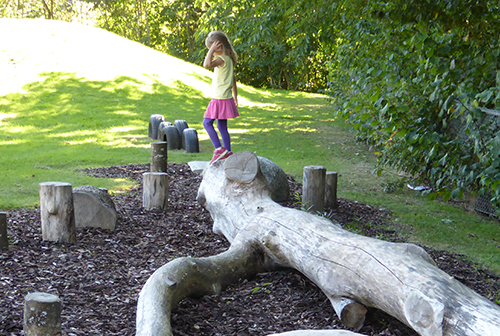 Outdoor education is a cultural ecosystem service that should be further highlighted in various detailed plans,” says Lisa Bergström, outdoor strategist in Jönköping municipality. In the research area there is an ongoing discussion regarding a future research project within Naturskolan’s activities. There is a proposal to open up the question of research ideas to working teachers and educators based on the needs of the practitioners and place-based activities in Naturskolan. “Initially, this will be done through a survey which will be given to the teachers and educators who use the outdoor educational boxes or backpacks. The survey is meant to give an indication regarding a theme which could be explored, and the process will of course follow the ethical principles of research,” says Maria Hammarsten, PhD at Jönköping University. The initiative during the spring is a pilot training course, but in the autumn, both Naturskolan and Jönköping University hope to be able to further enrich each other's outdoor educational knowledge through research into Naturskolan’s activities together with up-to-date pedagogical competences from active practitioners for the university’s teacher students. The discussions will continue to aim for a more long-term collaboration solution between Jönköping University and Jönköping Municipality.